I think most of us who are atheists over a certain age living in the United States would agree that things have gotten a little bit better when it comes to what it is like to be an atheist here. It is not that we don't still have a long way to go, but we have made progress. In many important areas, things are better now than they used to be. It took me until the age of 19 to meet another person who identified as an atheist. At 16, I worried that I might be the only one. By 17, I knew there had to be others but had no idea of where to find them. And it wasn't until 19 that I finally found one and then a few others. Some of this has to do with the small town in which I grew up, and some of it is likely an artifact of the times. I haven't been 19 for a really long time! Things have to be different today. But are they? I recently learned from a 23-year-old graduate student that she had just met her first atheist. She, of course, was a conservative Christian who expressed shock over running across an actual atheist. She did not grow up in a small town but in one of the larger cities in Texas. That she could have spent the first 23 years of her life without encountering one person who identified as an atheist reminded me just how far we still have to go. Of course, she'd been around other atheists without knowing they were atheists. I suspect the same was true for me all those years ago. This raises the fascinating but easy to answer question of why so many atheists still keep their atheism to themselves. I characterize it as fascinating because it highlights the persistent bigotry we continue to experience from religious believers. There is, even today, a real stigma associated with atheism. Being an atheist is about as socially undesirable as anything else one could be. I characterize it as easy to answer because it should come as no surprise that most atheists prefer to keep our atheism to ourselves. As long as it carries this stigma and prompts such bigotry, why would we not seek to conceal it? I do think that atheism is somewhat more acceptable in some parts of the U.S. today than it was when I was 19. I also think that the presence of high-profile atheists and other vocal critics of religion have helped to push atheism into the public consciousness to a much greater extent than used to be the case. Most 16 year-olds alive today are probably far less confused about the meaning of atheism than I was at 16. While I can find signs of progress, this is a topic about which I often feel discouraged. I look, for example, at the dramatic way in which attitudes toward LGBT persons have changed during my lifetime. When I was 16, merely being suspected of being gay was virtually guaranteed to get one assaulted. Today, we have openly gay characters in popular TV shows and films and gay bashing is typically considered a hate crime. 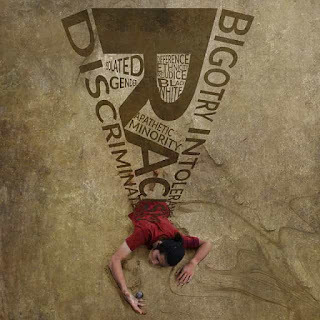 Bigotry directed at LGBT persons still exists as do hate crimes and all sorts of other awful things, but bigotry against LGBT persons is widely recognized as bigotry in a way that bigotry directed at atheists is not. We need to reduce the social acceptability of anti-atheist bigotry. More of us being open about our atheism would probably be helpful here, but I'm not sure it would be enough. Activism is probably going to be needed too. And of course, we have to remember that there are parts of the U.S. where being open about one's atheism is still going to result in all sorts of unwanted consequences. It can still be a risky proposition. When I find myself feeling most discouraged about the state of atheism these days, this is usually why. It seems so obvious to me that bigotry directed at atheists is still bigotry. And it seems equally obvious that many religious believers do not recognize it as bigotry and feel little need to avoid it. That needs to change.